The GT rotary shaping system was introduced to the US market in 1996 and to the rest of the world 18 months afterwards , and while it took the US by storm, it met with more resistance internationally – due to the differences in the dentist’s populations, competitive environments, and the way the product was delivered to the end user. As I approached the redesign and development of what would become the first true ‘next generation’ of this product line, I took the broader needs of those performing root canal treatments everywhere into consideration. After two years, the GT Series X (GTX) endodontic system was introduced at the Annual Meeting of the American Dental Association in October 2007 and is scheduled for worldwide distribution in the spring of 2008. A shaping method requiring fewer files to accomplish an ideal preparation. Ironically, the difficult challenges of delivering the universal requirements were rewarded serendipitously in delivering the more specific needs of the international market. First off, I was gratified to note that the first 2 are both related to safety, as it should be. However, as simple as the concept of safety seems, the multivariate and often oppositional functional characteristics of file geometry make for a serious analytical challenge. Examples of these countervailing features are abundant. While larger core diameters enhance a file’s resistance to torsional stresses in straight canals, they radically increase their susceptibility to cyclic fatigue in curved canals. While sharper cutting flutes decrease friction and the resultant torsional stresses accumulated in a file during cutting, they significantly increase the amount of transportation from the original canal path in curved canals. Beyond the difficulties of understanding factors that come to bear in safety objectives, it is no less obscure to determine how these geometric variants affect efficiency. 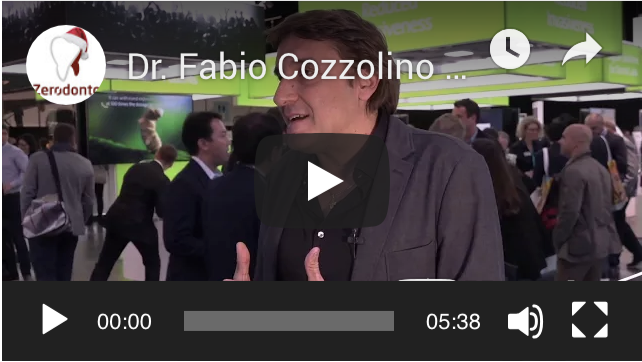 Do we look only at the cutting efficiency of a file blade during the use of a single file in a single cutting cycle, or do we consider the number of instruments and steps necessary to complete the root canal preparation? Do we compare files relative to how long they can cut in an apical direction before their flute spaces are jammed with debris? Often lost in this cacophony of information about rotary shaping instruments is the issue of shaping objectives. Without considering the preparation result desired it is difficult to choose an instrumentation system, as it would be difficult to choose a mode of transportation without knowing where you wanted to go. Most clinicians have only asked themselves whether they want to use hand files vs. handpiece-driven files, with the intention of creating the same outmoded root canal preparations they were taught in dental school some time ago. I am of the opinion that it is a bigger step forward to stay with hand files but to cut more predictable shapes than it is to use rotary files to cut shapes with a greater chance of poor short- or long-term outcomes. So, let’s first consider our options in this department. In that light, the consideration of shaping objectives can be divided into coronal, middle, and apical categories. Traditionally, root canal preparations have been relatively large coronally and apically with varying, often anemic, amounts of shape between those regions. Large coronal shapes became the rage when Schilder and others (Schilder, 1974; Ram, 1977) noted, correctly at the time, that greater amounts of coronal enlargement allowed for better results in apical regions. But that was only true for the relatively stiff stainless steel files and relatively large irrigating needles we had at that time. 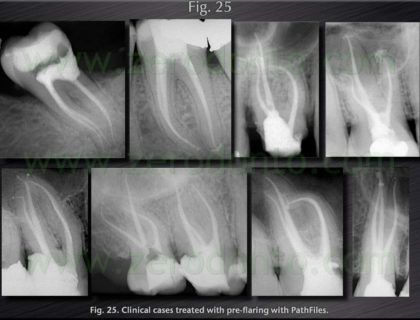 The other reason that clinicians to this day cut big shapes in these regions is to facilitate the filling of root canals with lateral condensation of cold gutta-percha. 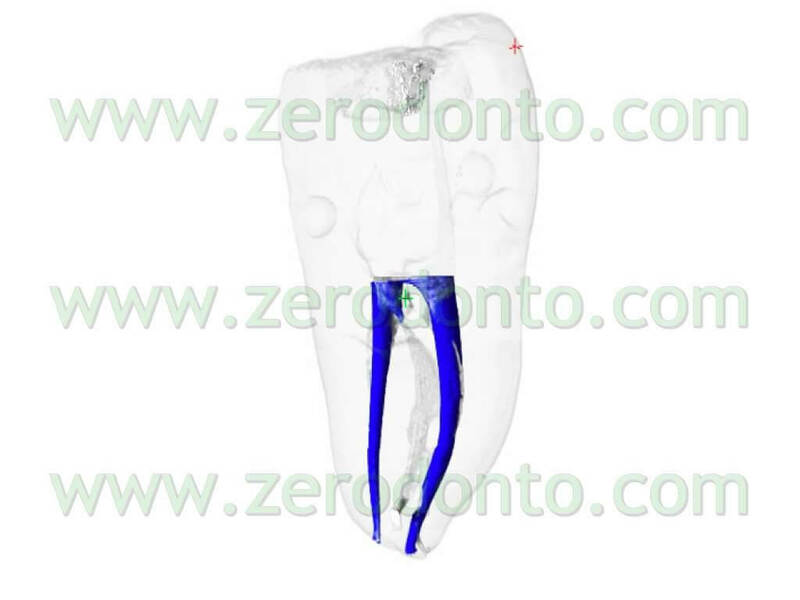 The problem is that over-enlargement of this part of the canal unnecessarily weakens root structure, and in the case of molar canals, increases the chance of strip perforation. 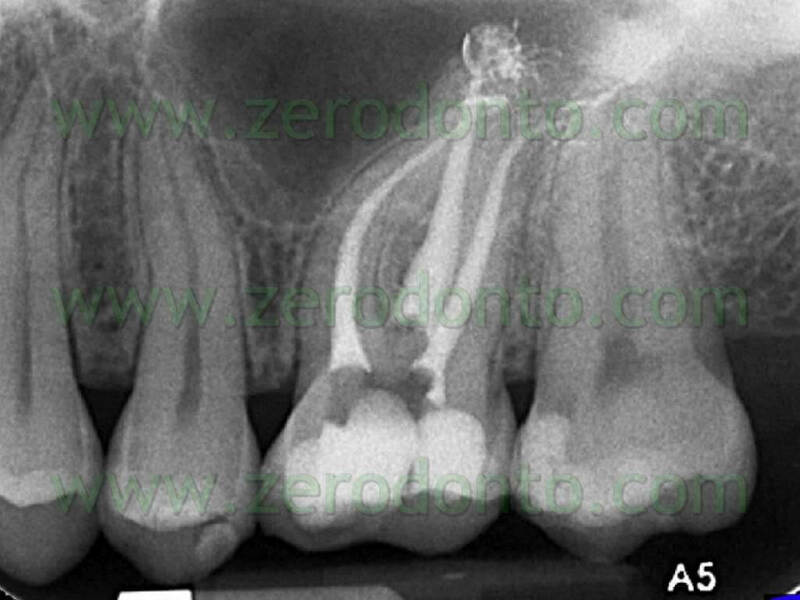 When I talk to prosthodontists about their fears of using endodontically-treated teeth as critical abutments, it revolves primarily around structural integrity issues (assuming that the apical region has been thoroughly treated). 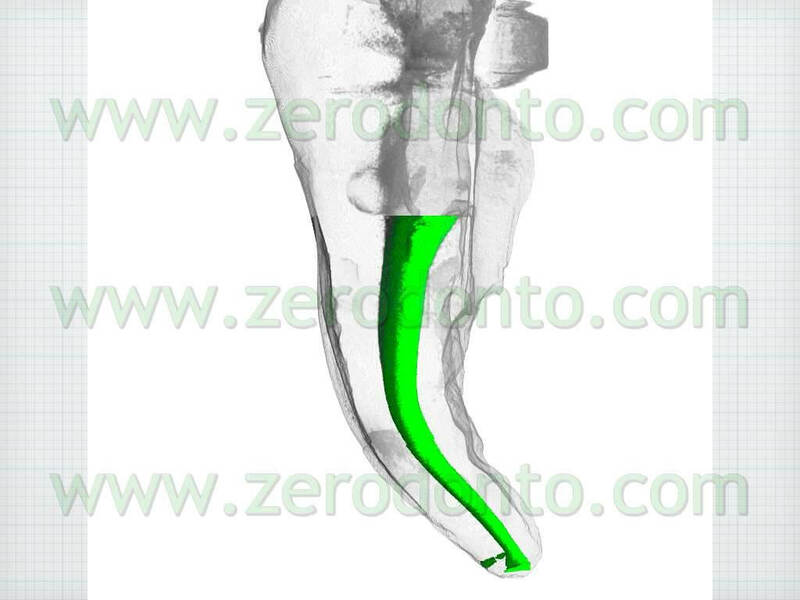 It is, therefore, clear to me that controlling the amount of coronal enlargement is vital to long-term endodontic success, as well as to the long-term success of endodontics as a credible treatment in dentistry (Figure 1). What about the shaping objectives in the middle third of the canal? The problems associated with a paucity of shape in this region are seldom appreciated. 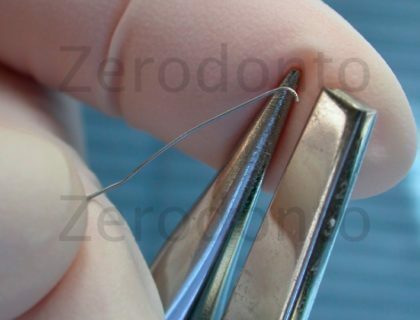 Undershaping the middle third of root canals is largely responsible for irrigation and conefit problems, and when carrier-based obturation is used, it will readily strip off gutta-percha from the carrier and allow it to arrive at the end of the preparation without gutta-percha around it—all of these being set-ups for failure. Fortunately, the advent of variably-tapered shaping files ended the commonly under-shaped outcomes we saw when push-pull filing with .02 tapered k-files, so virtually all rotary shaping instruments of .06 or greater taper will solve this problem. Apically, the traditional shaping objective has been the “stop prep,” an intentional ledgeform short of the apical foramen. While the stop prep will work well when done perfectly, it is prone to failure as it is unforgiving of length determination errors. When length is erroneously determined short, the stop prep, created by cutting larger and larger files to working length, is a ledge that will confound efforts to bypass it when attempting to fill to an acceptable length in the canal. 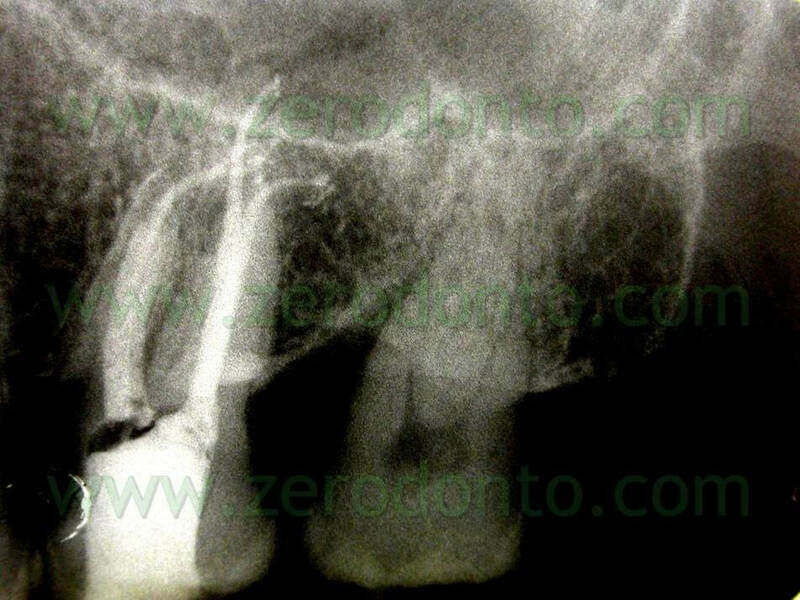 When length is erroneously determined long, or when a curved canal is shortened by straightening during shaping, the large and relatively stiff instruments that are taken beyond the root canal terminus will inevitably rip the end of a canal—a set-up for overfilling (Weine, Kelly e Lio, 1975). In fact, the volume of literature correlating overfills with a higher incidence of failure (Seltzer e coll., 1963: Sjogren e coll., 1990; Strindberg, 1956; Swartz e coll., 1983), have largely misunderstood coincidence for etiology, as most of the endodontic failures studied were overfills that happened in canals prepared with the stop preparation. As an apical stop is really an intentional ledge, any overfill occurring with this shaping objective is by definition indicative of a shaping failure, not a filling failure. When the apical foramina of canals are ripped open it is virtually impossible to adequately seal them with conefit techniques. This is the only possible explanation for those failures when the biocompatibility of our filling materials is considered. (Costa e coll., 2001; Orstavik, 2005; Tavares e colol., 1994). If we cut a tapered shape (with files that have safe tip geometry) that is short of ideal length, it is easy to just cut the preparation farther into the canal when the error is detected before filling. If we cut a tapered shape (with files that have landed flutes) too long, the tapered resistance form still exists and only requires that the fitted point be cut back to correct length before obturation a recovery that takes less than 20 seconds. For my money, I want the apical preparation that is most forgiving, one that is tapered. In addition, when clinicians choose this apical shaping objective they get a “twofer.” Not only is it more predictable with variably-tapered shaping files, it requires fewer instruments to achieve that result. How do we create the shapes we want safely? What characteristics should we look for to meet our shaping objectives and ultimately answer the 3 primary needs dentists cited in the aforementioned market survey? With the shaping objectives listed above it becomes clear that we need a file set that provides limited coronal enlargement and a tapered shape at least in the apical half or two thirds of the canal, preferably without serial step-back techniques required. Not an easy wish list to fulfil, given the fact that most files with tapers greater than .08 mm/mm have dangerously large shankend flute diameters. 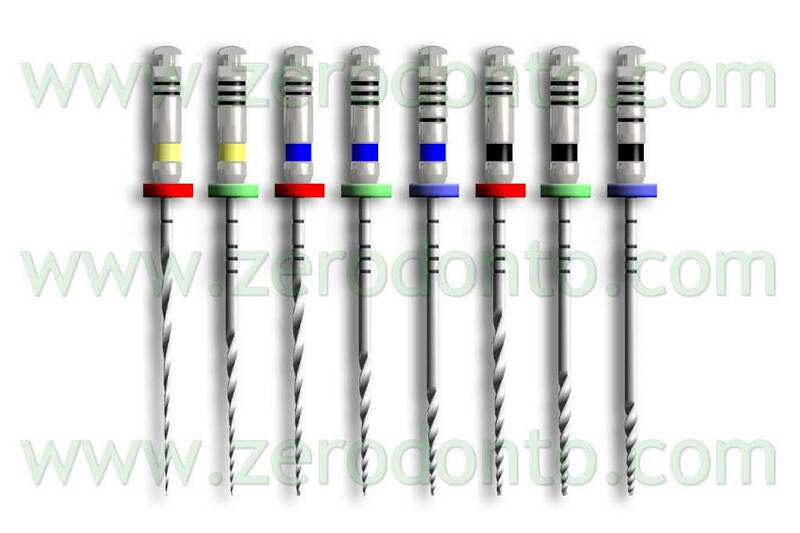 While there are many files on the market that provide .06 tapers, which are adequate for small-root canals, tapers larger than that are typically desired for medium-root and large-root canals. 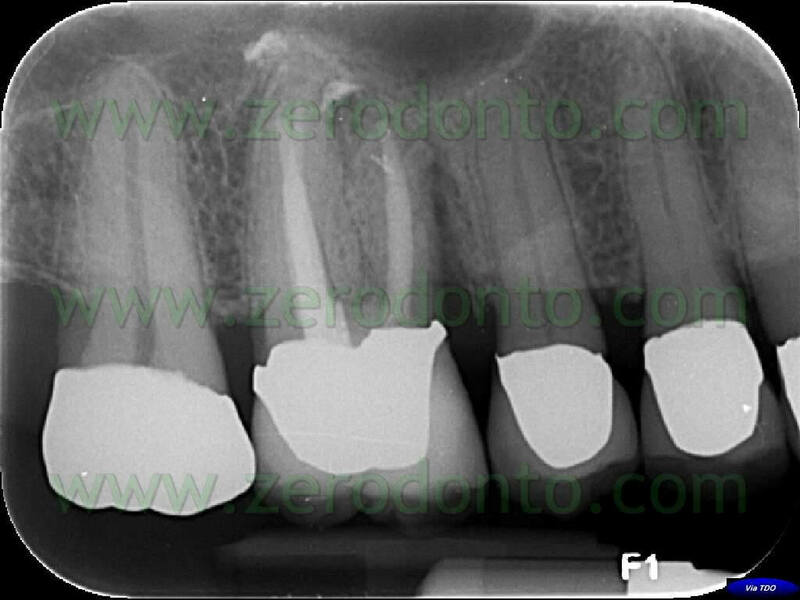 The concept of maximum flute diameter (MFD) limitations is unique to the GT File (DENTSPLY Tulsa Dental) family of instruments, and it not only controls coronal enlargement but also allows preparation tapers greater than .06 to be created without unwanted cutting in those regions. While there are instruments that have somewhat limited flute diameters, no other file set limits the MFD to 1 mm throughout the series as seen in the GT designs. 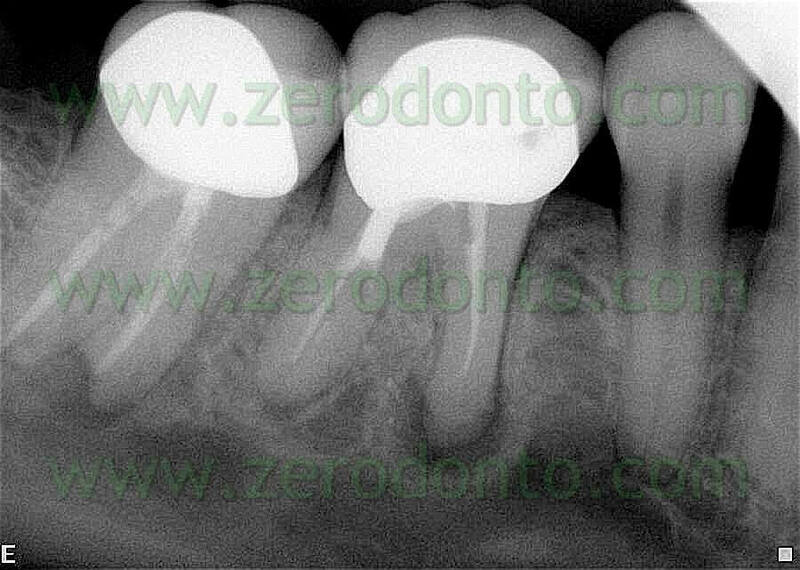 When I hear a dentist tell me that he or she uses GT Files but still likes to use Gates Glidden Burs at the start or end of the preparation, I know that they are still filling canals with lateral condensation because GT Files cut shapes that are just slightly larger than GT Gutta Percha Points, and there is not much room at the orifice level to place a spreader between the canal wall and the point. In the 21st century, with thermoplastic obturation techniques available that take less time than well done cold lateral condensation, I would say that dentists need to pick a different filling technique if the one they are using requires dangerous over-instrumentation. 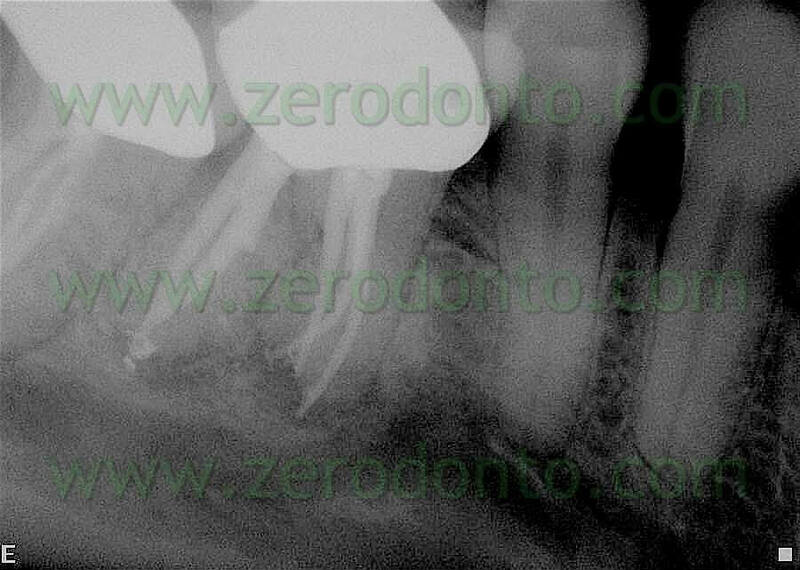 While the 1 mm coronal enlargement created by GT Files may be smaller than many dentists are used to working through, Continuous Wave Obturation, carrier-based obturation, warm lateral condensation, and even single cone fills (although I don’t recommend this) are better than needlessly weakening root structure. 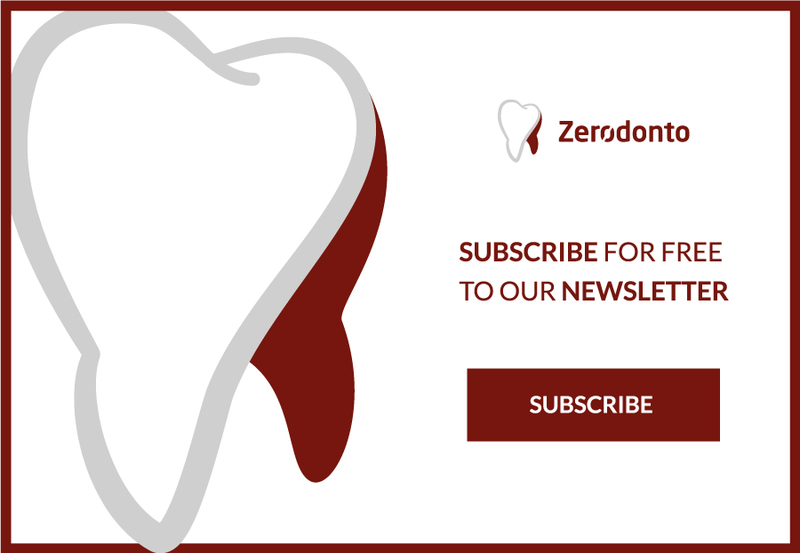 To the endodontists reading this article, be aware that over-cut coronal shapes are part of the reason prosthodontists are increasingly choosing implant-supported prostheses over endodontically-treated abutments. All non landed cutting flutes cut shapes significantly larger than the external geometry of the file itself, as seen in Figure 2. Anticurvature shaping routines do nothing to minimize the shaping size; they just reduce the chances for strip perforating narrow curved roots. The best method to retain maximal root strength and totally eliminate the possibility of exiting the root is to definitively control coronal enlargement, one of the most distinguishing features of both the GT as well as the new GT Series X File lines. Moving to the other end of file geometry, file tip designs must be safe-ended. Every 5 years a dental company introduces a new file with aggressive or semi-aggressive tip geometry. While the initial sensation of effortless apical progress is seductive, micro-CT research and clinical experiences do not bear out manufacturers’ claims of safety (Figure 3). The real story is told when the manufacturer’s directions for use (DFU) is read and the technique recommended mentions never taking the files beyond the apical foramen, and that the file tips should never be used for more than one second at full length. Underappreciated in this regard is the dangerous combination of aggressive tip geometries and non landed cutting flutes in curved canals. 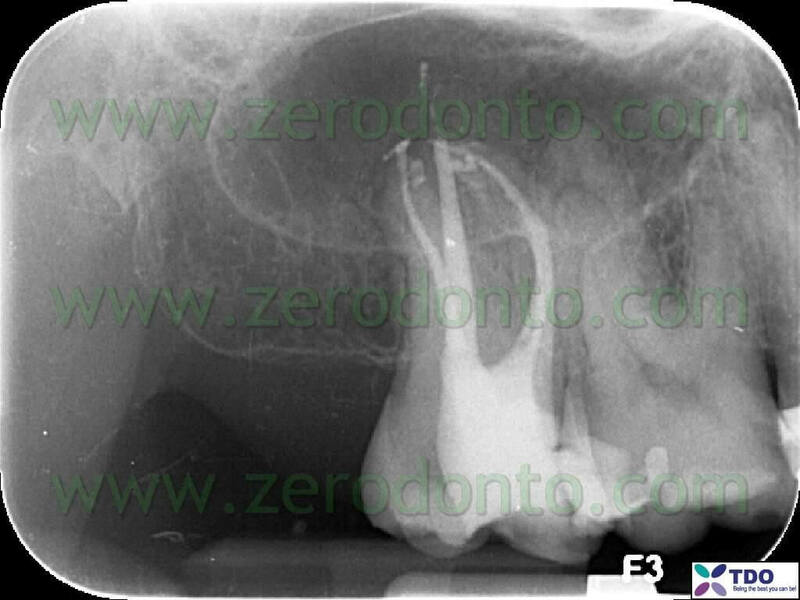 When a non landed instrument is used in curved canals, mid-root curvatures are inevitably straightened, thereby shortening canal lengths, resulting in inadvertent placement of aggressive file tips beyond the apical foramen, an invitation to apical ripping. Of course, all aggressive tip, non landed shaping files can be used with excellent outcomes if the user is experienced and adept, however, the work-arounds necessary to avoid apical damage often requires additional files and additional procedural steps to circumvent the inherent dangers. Next on the list of file features are blade edge and core geometries. While the file tip and shank features are quite obvious in their effect during shaping procedures, the functional characteristics of cross-sectional file geometry are less obvious. If we look at the 4 leading files on the market in cross-sectional view there are 3 primary things to observe: cutting blade edge, core size, and conversely, the size of the chip space between the flutes. Each of these features has countervailing advantages and disadvantages—the trick is to optimize them. Cutting blade edges cannot be too sharp, or significant transportation of curved canal paths surely result. Yet, if they are too inefficient and take too long to cut, cyclic fatigue will rapidly accumulate when these instruments are held around canal curves. Core diameters that are larger add strength to the instrument when it is used in a straight canal (improved torsional strength), but become quite dangerous in curved canals (decreased resistance to cyclic fatigue). Larger core diameters combined with non landed cutting blades are the most dangerous, as the stiffness activates the cutting blades to transport and they are more prone to cyclic fatigue failure. Furthermore, if the core diameter is smaller, the chip space becomes more capable of gathering cut dentin debris before the file stalls in its apical cutting progress. Small chip space means that the file needs to be removed and cleaned more often before it can cut farther in an apical direction. Also, as the core diameter becomes smaller, the inherent flexibility of the instrument increases—a very good thing in curved canals. What is needed is a small core diameter and the resultant large chip space, and a blade edge that is effective without being too aggressive—a difficult set of parameters. The GT Series X File Set has been designed with all of these requirements in mind, playing to the previous strengths of the GT File, and improving those that could be optimized. Beyond geometry changes, this file is made of a new nickel titanium wire called “M-Wire” developed by Dr. Ben Johnson, the inventor of carrier-based obturation. Through a series of heat treatment and annealing cycles applied during the drawing of the wire, the resistance to cyclic fatigue—the most common cause of rotary file separation (Shen e coll. 2006) s been greatly enhanced. While this could be misunderstood to mean that files made of this advanced metal can be used again and again, it is rather intended to significantly reduce the chance of breakage when the instruments are used as before. Any file, regardless of design or metallurgy, will break when over-used. Suffice it to say that this new wire is a great advancement in answering the first priority of dentists polled about what they want from their rotary files—better resistance to fracture. GT Series X Files have the same radiused tip geometry, the same limited MFD, and they are still landed instruments but with a significant improvement—the land widths vary along the length of the file (Figure 4). Experience gained through the 12 years of GT File manufacture and use has revealed that the width of radial lands is critical. Too large and they don’t cut fast enough (a set-up for failure due to cyclic fatigue). Too small and they begin to transport curved canals like nonlanded files. The key finding during the design and prototype development process was that we need different degrees of sharpness at different regions of a landed file. Because transportation is a function of blade sharpness and the rigidity of the instrument at a given position along the file, testing showed that the tip flutes, in the most flexible part of the file, could be safely narrowed to gain cutting efficiency without transportation in the highly curved apical regions of canals (Figures 5a and 5b). Furthermore, at the shank end of the file the lands could also be thinned without danger, in spite of the stiffness of that part of the file, because the shank end cuts through the straightest region of roots. With these efficiencies at hand it became apparent that the degree of stiffness in the middle section of the file, coupled with the significant amount of curvature encountered in the middle third of root canals, dictated maintenance of the original land width to prevent straightening of mid-root canal curves. The outcome of this optimization was an at least 2X increase in cutting speed as well as less taper-lock during apical progress. The final blade change is that the blade angles have been opened to a consistent 30° along the length of GT Series X Files, thereby nearly doubling the chip space between flutes. This increases the flexibility of these files and significantly extends the length of each cutting cycle. Where standard GT Files cut for about 4 to 6 seconds before clogging up, GT Series X Files will cut continuously for 10 to 12 seconds before they need to be removed and cleaned. The final 2 changes from the standard GT line are a latch-grip handle that is shortened from 13 to 11 mm, and a reduced file set from 15 to 8 instruments in the set (Figure 6). The shorter handle is a no-brainer when considering the small interocclusal distance between posterior teeth, but the reduced file set needs explanation. (2) the consistently ideal preparations created by landed-rotary instruments require less tapered resistance form to achieve apical accuracy of obturation. The longer, more complete explanation will be included in a future article on GTX shaping techniques. Virtually any canal, short of those with open apices, can be ideally shaped with this 8-instrument file set, al-though for bigger apical sizes and greater coronal enlargement clinicians can bring a standard GT File, for instance the 40-.10 or the .12 GT Accessory Files with tip diameters of 0.5, 0.7, and 0.9 mm. The technique for the use of GTX files is remarkably simple. After the canal has been negotiated to a size #15 or #20 K-file at full length (in the presence of a lubricant), the canal is rinsed out, replaced with full strength NaClO, and rotary shaping commences – always starting with the 20-.06 GTX file. Due to the sophisticated geometry of these files they cut in steady, long 10-12 second cutting cycles at the recommended 300rpm. Pecking motions are inappropriate for landed-blade instruments. The rule of thumb is that if the ­-file is advancing in an apical direction, it is allowed to continue cutting. In small roots the objective is a .06 taper. Small roots are classified as: mandibular incisors, two and three canal premolars, mesial roots of lower molars and buccal roots of upper molars. Shaping these canals begins with the 20-.06 GTX file, which will generally cut to length in two cycles. Small canals that are very tight or curved will resist the 20-.06 GTX file in its second pass and will require a 20-.04 GTX file to cut to length. While a rare event, in extremely difficult cases a #20 NiTi K-file may be needed to achieve length, after which the 20-.04 and the 20-.06 will make it, as the tips of these two instruments have been relieved by the #20 K-file. Once the 20-.04 has achieved working length the 20-.06 will usually follow­ – creating the destred .06 taper in these small canals. However, in abruptly, severely curved canals, the 20-06 GTX rotary file may balk at cutting to length – an ideal indication for bringing in a 20-.06 standard GT hand file. The objective in medium and large roots is to achieve a .08 taper. Root classification for these are: distal roots of lower molars, palatal roots of upper molars, lower cuspids, upper anteriors and single canal pre-molars. While perhaps the simplest technique is to just start all canal shapes with a 20-.06 GTX file, I have found that in medium and large canals, starting with a 30-.08 (the taper I inted to finish with) is usually going to get me to length after a couple of cutting cycles. If the 30-.08 resists cutting to length, the 30-.06 will invariably make it. Once a GTX file of at least an .06 taper has been cut to length, the apical geometry of the canal must be determined to insure that the taper of the preparation extends to the terminal point (apical continuity of taper), thereby confirming adequate cleaning and apical accuracy during obturation. One technique nuance that I have been using to shorten the procedure is what I call visual gauging. I found that if I carefully examine the apical 2mm of the first GTX file that reaches full length in the canal, I can immediately tell if a 30 or 40 tip size will be needed. If packed with debris, a #20 tip size may be sufficient to create apical continuity of taper. If the last 1-2mm of the file’s chip space is vacant, it will surely need a 30 or 40 Series GTX file to finish. The other option is tactile gauging. In this procedure, NITI K-file are used as feeler gauges, with a straight in-and-out non-cutting motion – not even a wiggle – to determine the apical diameter. Whichever K-file size binds at length (#20, #30 or #40) indicates the apical diameter, and the shape is adjusted accordingly. In other words, if a #20 slips through the terminus and a #30 binds at length, the preparation needs to be finished with a 30 Series GTX file or larger. If a #20 drops through and a #30 bind at length (an in-between size) I always take the terminus up to the next full size – a 30 Series GTX file in this case. I used to do tactile gauging in all preparation between initial and final shaping, however, now I rely on visual gauging between these procedures, thereby saving a step if the canal obviously needs a final shape larger than the initial file cut to length. For those using a cone-fit obturation method, I recommend that tactile gauging be used to check the final shaping result, as these filling techniques require more certain resistance form than carrier-based obturation. Clinicians who fill canals with GTX obturators can dispense with tactile gauging altogether. 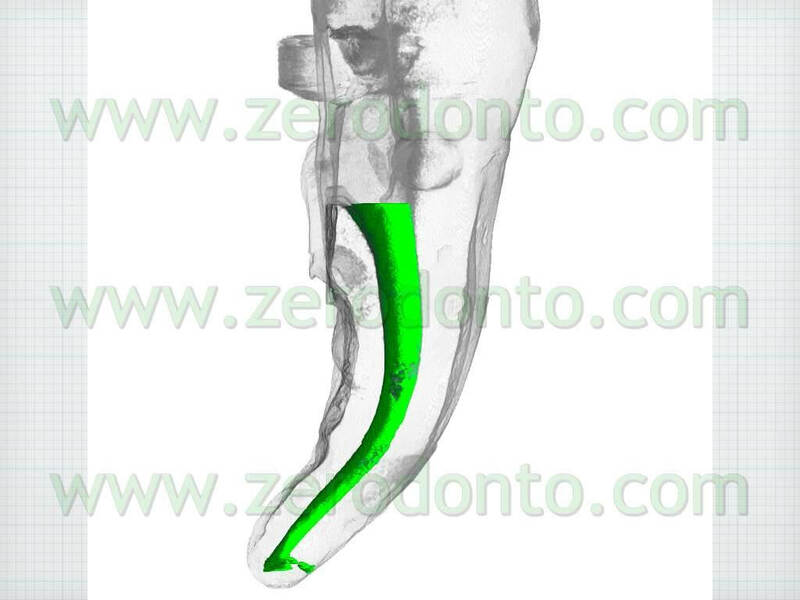 I have described how I choose the final file to complete the preparation, however, for clinicians who prefer preparation with bigger apical diameters, it is simple matter to cut the end of the canal to the next larger GTX file tip diameter than shown by the gauging result-an eminently safe technique even in canals with apical curves-as the variable land blade geometry resists apical transportation in even these larger, stiffer sizes. For my taste, I like to keep the terminus as small as is practical, so in virgin canals, I am usually going to finish the shape to the size to which it gauged. However, in retreatment cases I will usually cut the terminus up at least one GTX tip size larger, as there is much filling debris that needs to be removed before irrigants can accomplish their anti-microbial and digestive functions. For canals with very large apical diameters, the standard .12 Accessory GT files having .12 taper and tip sizes of 50, 70 and 90, remain the ideal choice of clinicians worldwide. These create very significant apical taper, despite the large tip diameters-an impossible proposition without the MFD limitations that are unique to the GT and GTX lines. 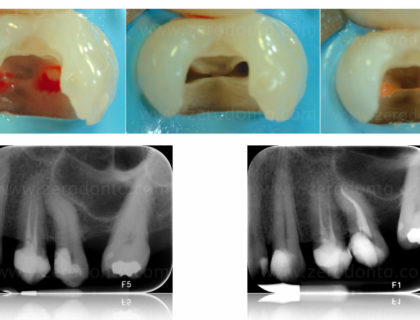 One last thing that clinicians may want to consider is a hybrid technique-using GT 40-.10 rotary file when finishing medium and large canal preparations-when a little larger (1.25mm)coronal shape is desired in these canals. The caveat to any technique that “works nearly every time” is using good clinical judgment “all the time”. In any root form there is a possibility of a hidden curvature not seen on a radiograph, or a constricture not typical for that root. In these instances it is critically that you accept that the file you normally take to length will not go there and drop down in file size. Also, the purpose to create shape is to allows your irrigants to reach all the apical and laterals extents of a root so the bacteria can be killed. After a quick rinse with EDTA to remove smear layer, I use full strength NaCl for at least 30 minutes in necrotic cases and 45 minutes in vital cases to accomplish this task. This is very important to remember when the whole shaping procedures takes less than a minute. It may be shaped, but it’s not clean. When an operatory is not available for the patient to sit during irrigation soak, the canal must be filled with calcium hydroxide, the access temporized, and the case finished two weeks later, after the calcium Hydroxide has had time to clean things up. 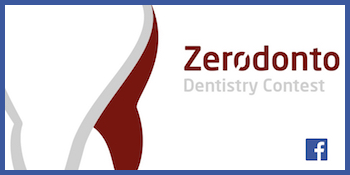 For most of the clinicians providing endodontic therapy for their patients, less is more. Faster, simpler, fewer files, fewer steps, shorter learning curve-it’s all good. However, I think some endodontists will be a bit non plussed by the new GTX files-some of us really do revel in the artistry and complexity of a technique that few can do well (I was one of those). For the diehards out there, just bring in one of every type of file and do a different technique for every canal you enter-you will be amazed at the variety shapes that will result. Those who feel guilty about ideal single-minute shapes just remember the last MB2 canal that brought you to your knees and you will get over it. For those who miss the artistry of serial step-back shaping-learn a new art form with the same time you are saving in practice. 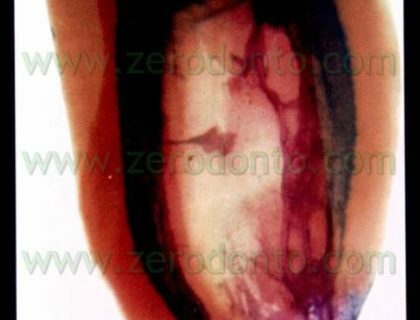 Endodontically treated maxillary molar with vertical fracture of the mesial-buccal root. 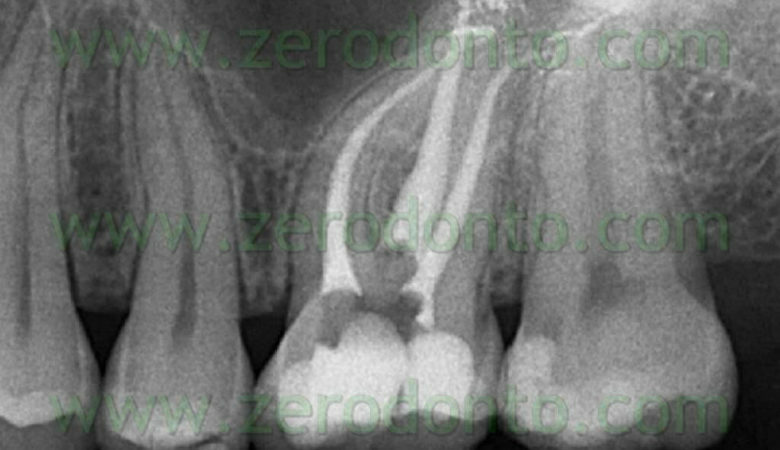 Root canal treatment was quite correct in the apical region (note the accuracy of the apical filling and the evident lateral canal in the mesial buccal root) but the excessive and unnecessary enlargement of the coronal portions of the canals caused a severe loss of structural integrity and, consequently, the fracture of the mesial-buccal root 5 years after the endodontic treatment. Micro-CT image of a curved mesial root of a mandibular molar shaped with 30.06 rotary instruments with and without flat blades. The canal on the left side, dimensionally more conservative, was shaped using a GT with flat blades. Conversely, the canal on the right side was shaped using a file with the same dimension and taper but without flat blades. 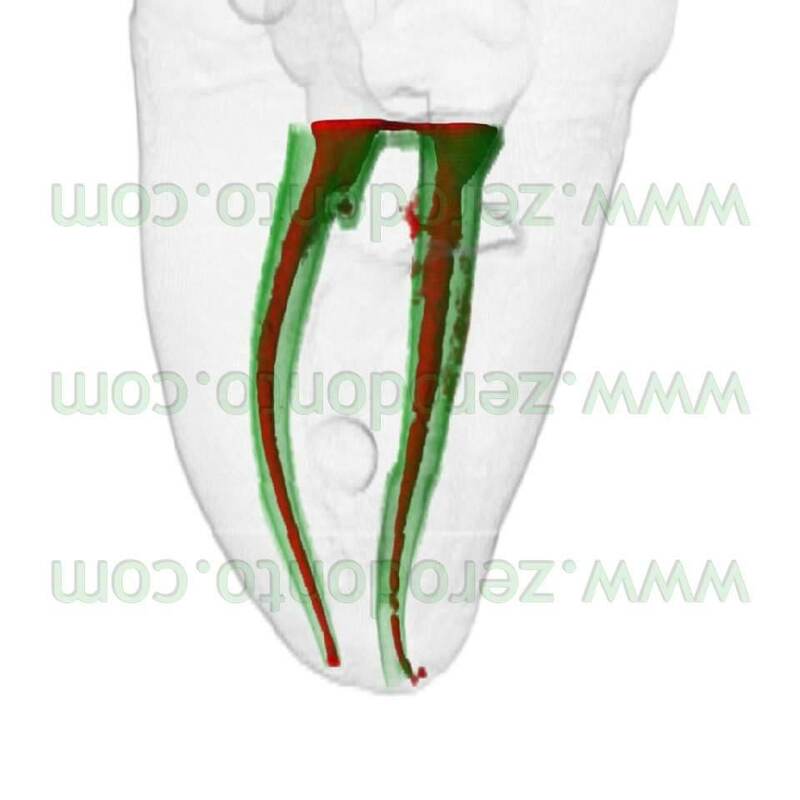 Micro-CT reconstruction of curved canals shaped inside a mesial root of a mandibular molar, in order to compare the results obtained in the apical third using rotary instruments with a flat blade tip and with a tip with a more aggressive geometry. Compare the canal on the right side, showing a severe problem of transportation (aggressive tip), with the canal on the left side, located at the center of the trajectory of the original canal (flat blade tip). GTX Series instrument. Note the maximum diameter of the stem of 1 mm, the flat blade tip, the angle of the blade steadily more open and the variable width of the flat blades. Their width at the tip and at the coronal end is half of that available in the intermediate region of the blades and this allows rapid cutting without transportation problems. Micro-CT reconstructions comparing transportation in curved canals of GT Standard Series with GTX Series instruments. In this severely curved mesial root of a mandibular molar, the shapings of the adjacent canals prepared using different sets of instruments appear virtually identical and extremely close to the trajectories of the original canals. and 40 will be able to shape all canals, with the only exception of canals with very large apical diameter. In these cases GT Accessory Standard Series with taper .12 and tip diameter of 50, 70 and 90 respectively can be used. Clinical case shaped using GTX Series files. The mesial-buccal canals were shaped with GTX files 20.06 and 30.06, the distal-buccal canal with files 20.04 and 20.06 and the palatal canal with files 20.06 and 40.08. The time necessary for shaping (the time needed to complete cutting with files) was of 90 seconds and only four GTX files were necessary. Each canal was probed with a file 15 before using GT rotary files, without using any other hand instrument. Francisco in September 2007. The mesial-buccal canals were treated using GTX files 20.06 and 20.04, a nickel-titanium K file 20 to create an initial shaping at working length and a GTX file 20.06 to complete the shaping. The distal-buccal canal was treated using only a GTX file 20.06 with two cutting cycles to reach the working length, completing the shaping with a GTX file 30.06. The palatal canal was first shaped with a GTX file 30.08 and was then completed with a GT Standard Series 40.10. 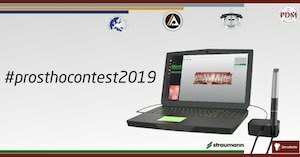 Stephen Buchanan, DDS, FICD, FACD, is one of the most famous experts in endodontics, well known for multimedia presentations, 3D anatomical research, papers about technical procedures and projects of revolutionary instruments. Dr. Buchanan is Diplomate at the American Board of Endodontics and he is member of the International College of Dentistry and of the American Colleg of Dentistry. He lectured at national and international meetings and collaborates with the School of Dentistry of the University of Pacific and with the University of Southern Carolina. He lives in Santa Barbara (CA), where he develops innovative instruments, produces didactic material, organizes practical sessions and manages his private practice limited to endodontics and implant surgery. Stephen Buchanan, DDS, FICD, FACD, is one of the most famous experts in endodontics, well known for multimedia presentations, 3D anatomical research, papers about technical procedures and projects of revolutionary instruments.Dr. Buchanan is Diplomate at the American Board of Endodontics and he is member of the International College of Dentistry and of the American Colleg of Dentistry.He lectured at national and international meetings and collaborates with the School of Dentistry of the University of Pacific and with the University of Southern Carolina.He lives in Santa Barbara (CA), where he develops innovative instruments, produces didactic material, organizes practical sessions and manages his private practice limited to endodontics and implant surgery.